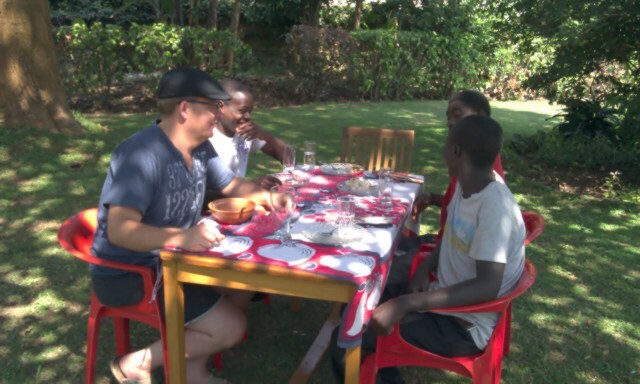 "15 things on a shopping list in an African market"
PHOTO: A lunch with some of my kids. Click for my thoughts on World AIDS Day. Our weekly shopping lists are fascinating really, not only because of the notable variety of items (696 eggs and 10 petticoats, for example), but because of the seemingly "ordinary" ingredients of an extraordinary life. In the coming weeks, the right column of our e-newsletters (like this one) -->, will include 15 random things from our current lists--just in case you would like to buy a goat or 35 rolls of toilet paper. = ) It's worth noting that this is not our comprehensive shopping list (that list is far too overwhelming). But the truth is that the Ugandan shilling is dropping in value, prices are going up, and in this "season of giving," our donations always go down. And yet our costs increase. So what do you say? Wanna buy a goat? Tell us a story about your engagement with our kids and staff, post your photos, or even if you haven’t been here, share with us how the AidChild story has influenced your own life and world. We would love to hear from you. Join the convo here. and then shop as normal! Visit www.aidchild.org and click LIKE! 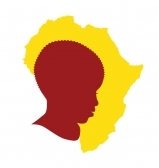 Copyright © 2012 AidChild, All rights reserved.